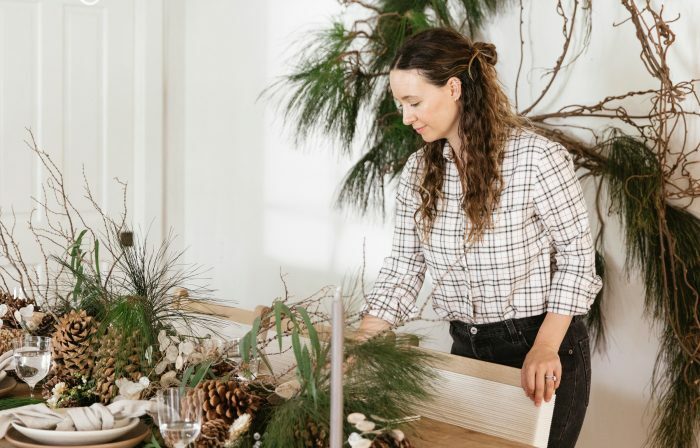 We believe strongly in the concept of the uniform for streamlining, simplifying, and stylizing your life—and applying the strategy to our cabinets along with our closets. 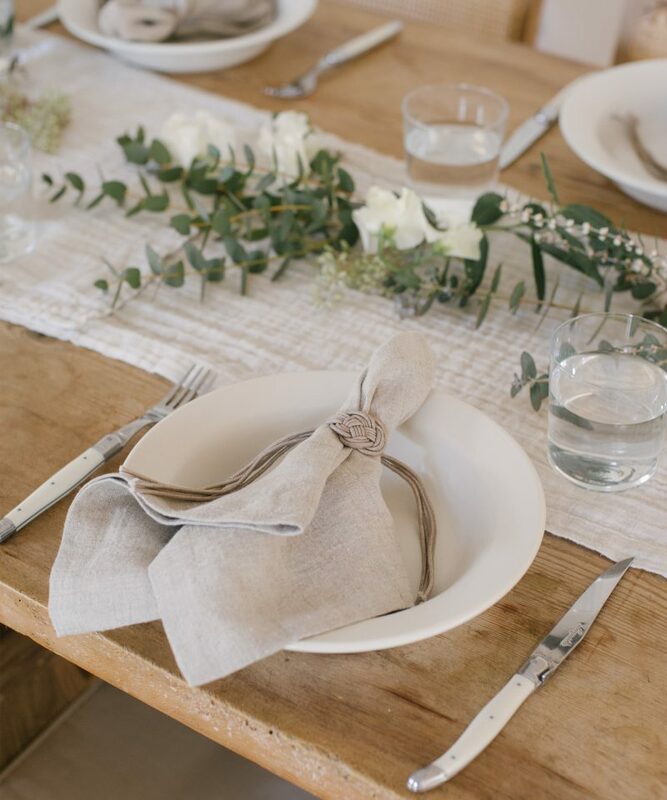 Just as much as the food, drinks, and the guest list do, a well-appointed table impacts the ambiance and tone of your get-together. 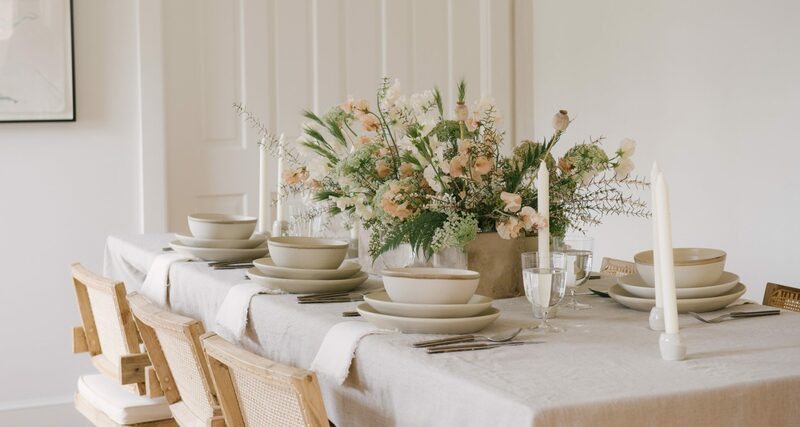 Having a reliable supply of entertaining essentials makes it easy to host on the fly and mix and match place settings both formal and casual. 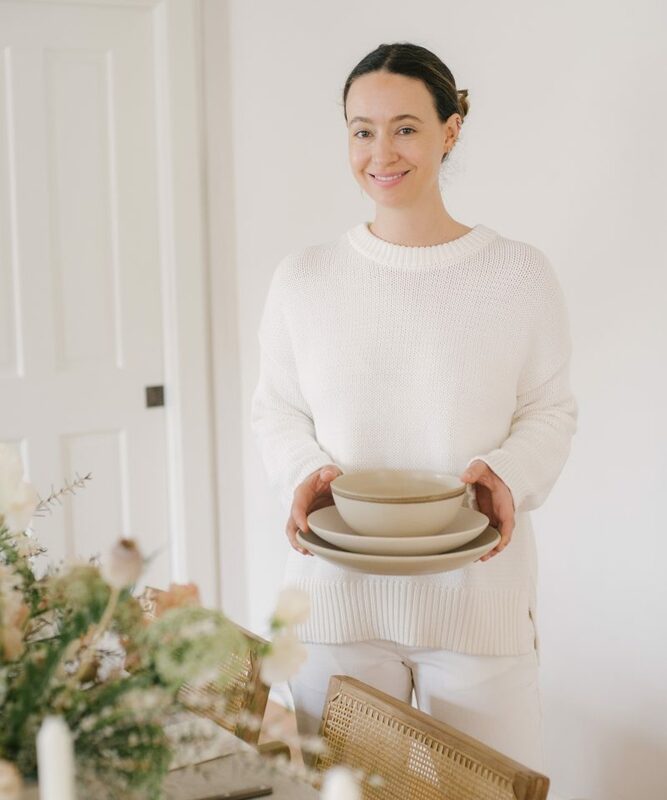 In the spirit of our new entertaining-centered book, Pacific Natural, we’re sharing our guidelines for building your own entertaining uniform (read: everything you need to entertain in every way you want). 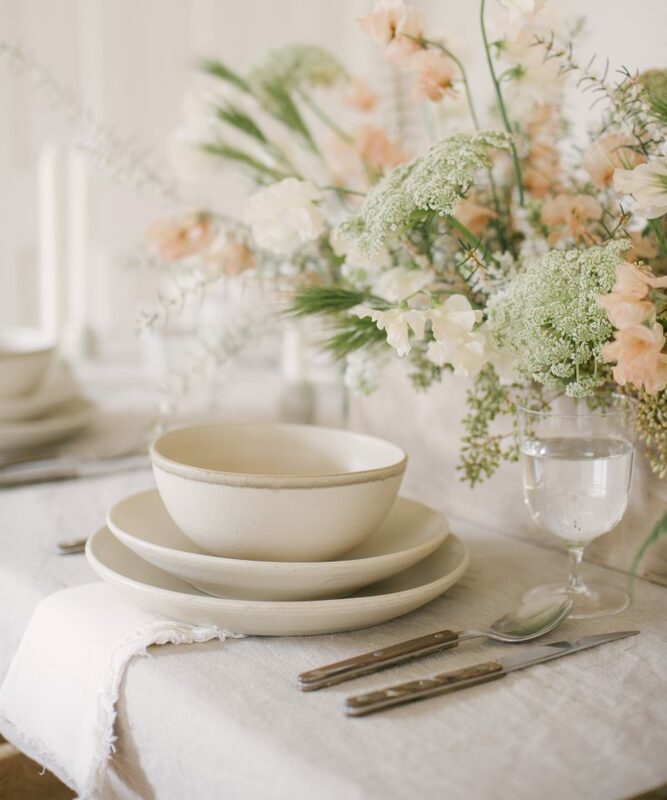 First, take stock of what you already have—serving pieces, plates, silverware, etc.—then refer to this checklist to fill the gaps with what you need. 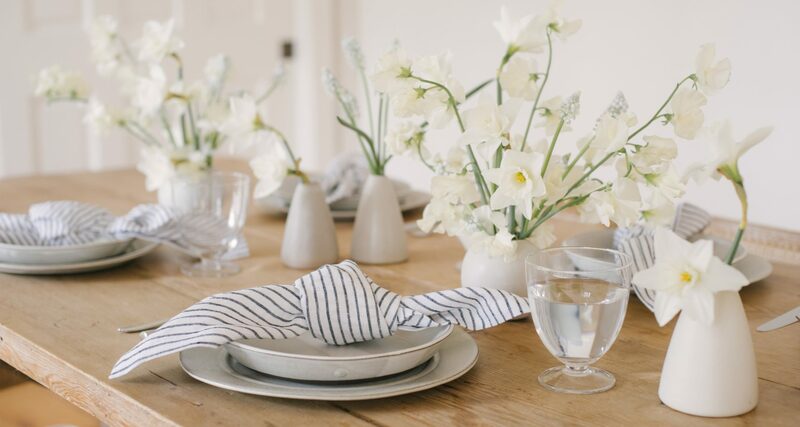 A more formal table will use the greatest quantity of your entertaining uniform essentials. 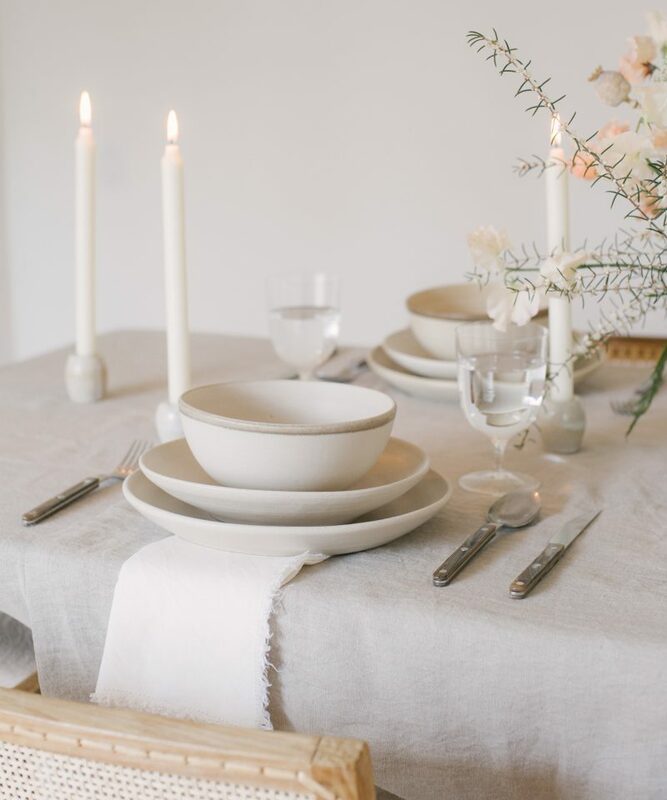 Ceramics to match the number of courses you serve, a full set of cutlery, and both tablecloths and napkins will likely be used, and you’ll be thankful you have those extra candlesticks to round out the table. 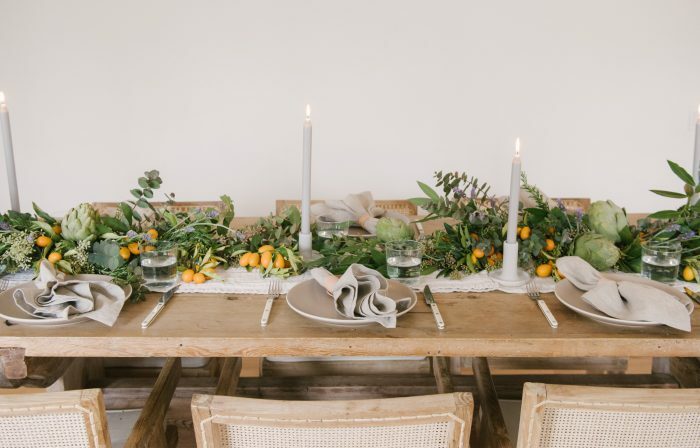 When wanting to make a bigger impact, you can focus more heavily on the florals, adding touches of found greenery elements like grasses and ferns. 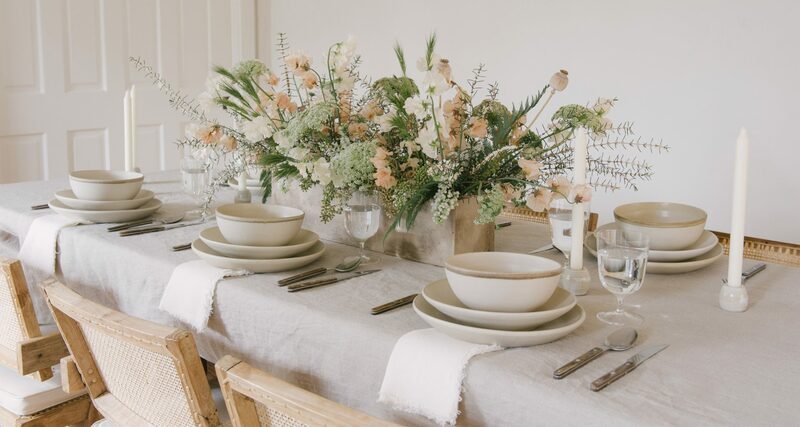 These arrangements of sweet pea, Queen Anne’s lace, lilac, poppy pods, California grasses, spirea and fern achieve a naturally lush, beautiful look amongst the otherwise-austere candles and stacked plates. 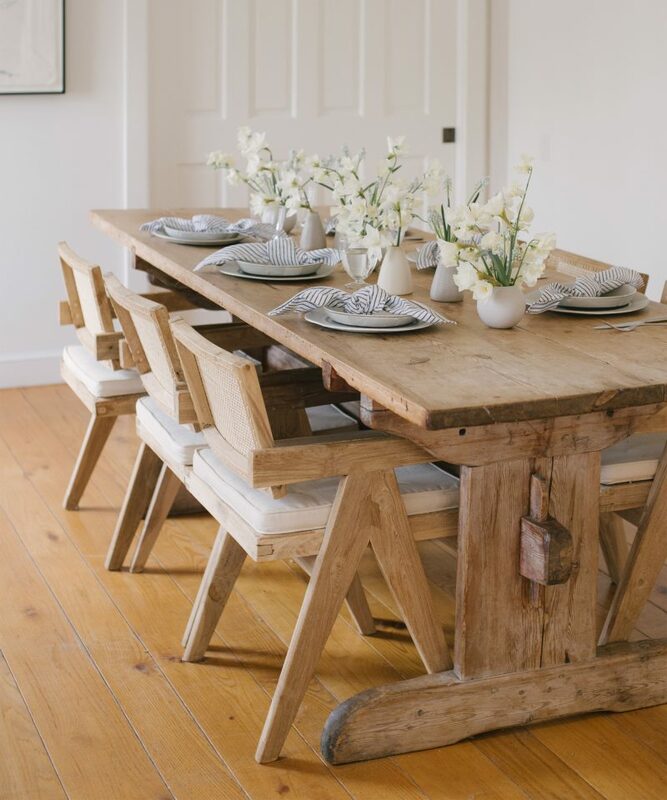 This mid-level table can lean more casual or more formal depending on the type of get-together you host. 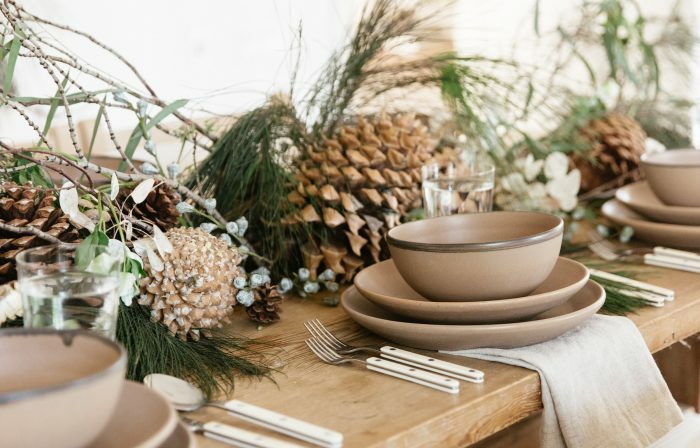 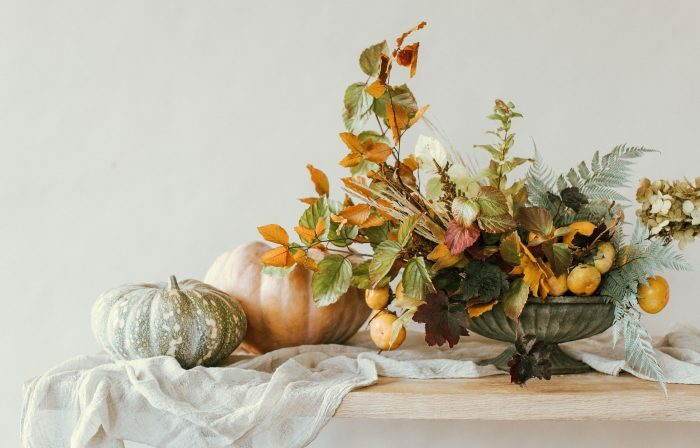 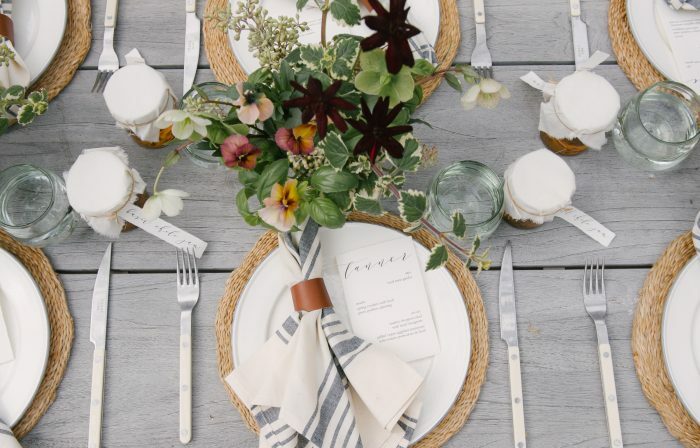 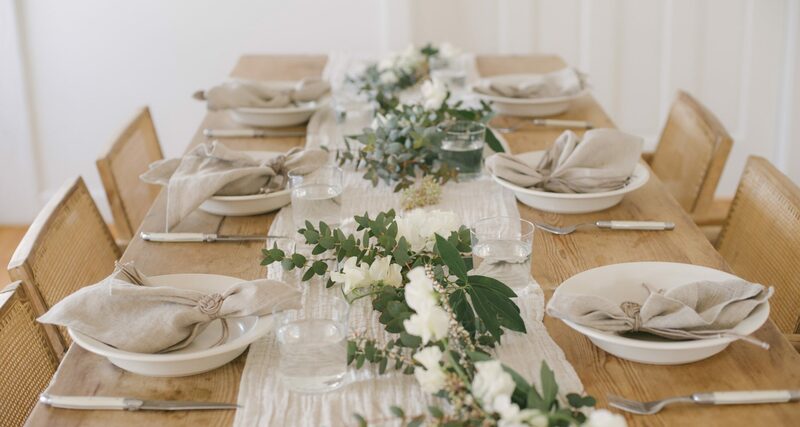 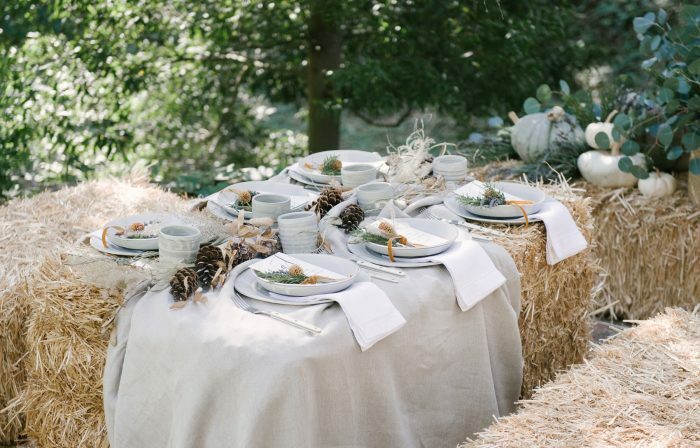 Simple accents like a runner or tablecloth and a napkin ring will add that special touch that takes it one step past your everyday dinner table and make even the simplest of neutral tabletop items look inspired. 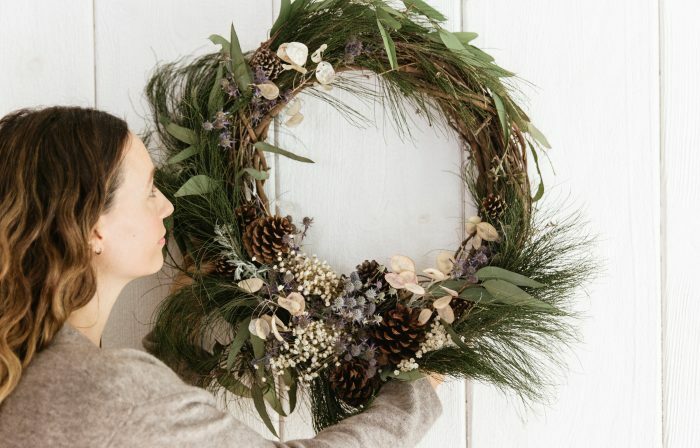 Try a loose DIY garland for an even more elevated feel. 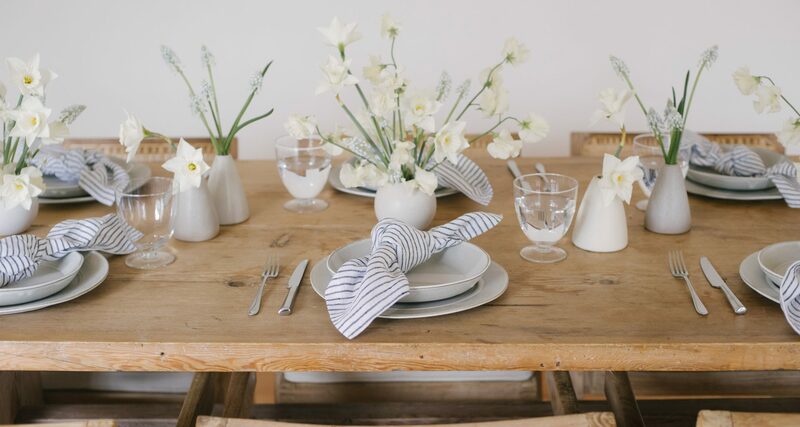 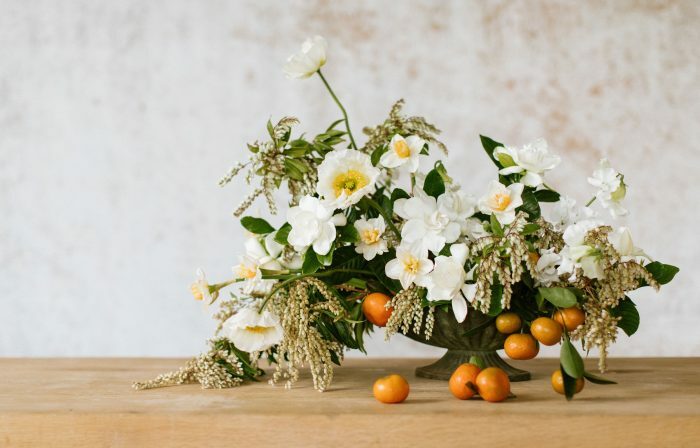 Even small bundles of greenery and florals can make a big impact by simply being “arranged” on the table itself. 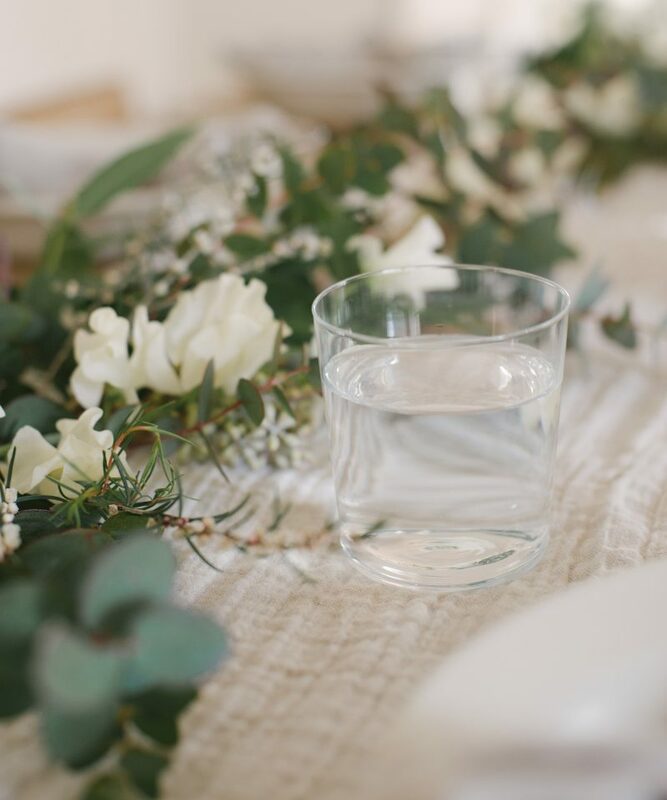 Eucalyptus, sweet pea, spirea, and eucalyptus seeds make for a thoughtful, considered, yet relaxed feeling. 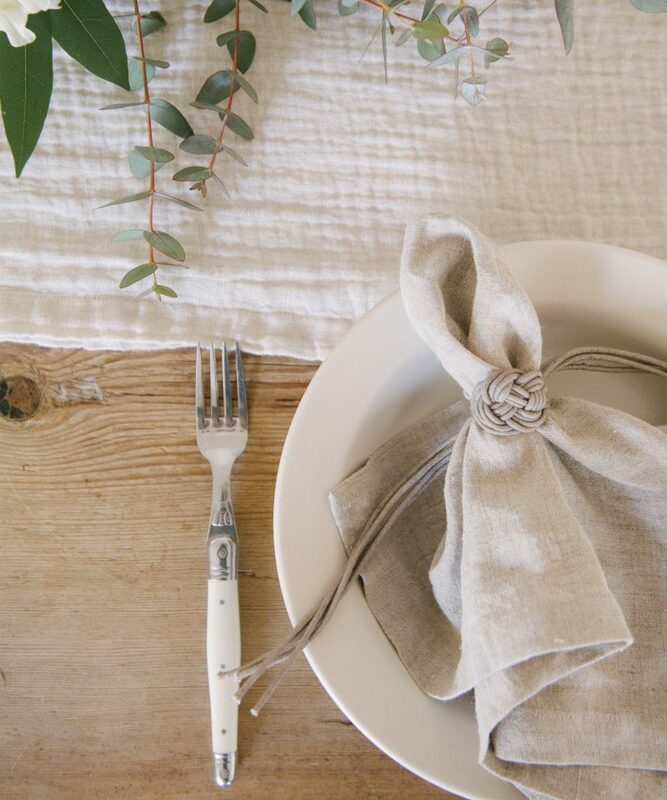 The most casual table is often the easiest to use your favorite novelty napkins, here simply tied in a knot to add some texture, and go linen-free on the table for the most relaxed feel. 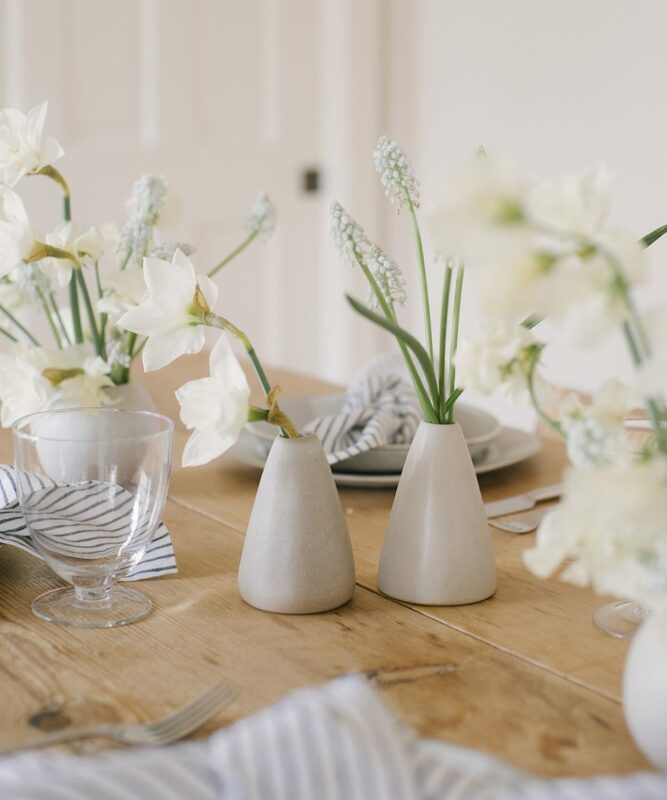 Intermittent blooms in your trusty bud vases are all you need to make this table special. 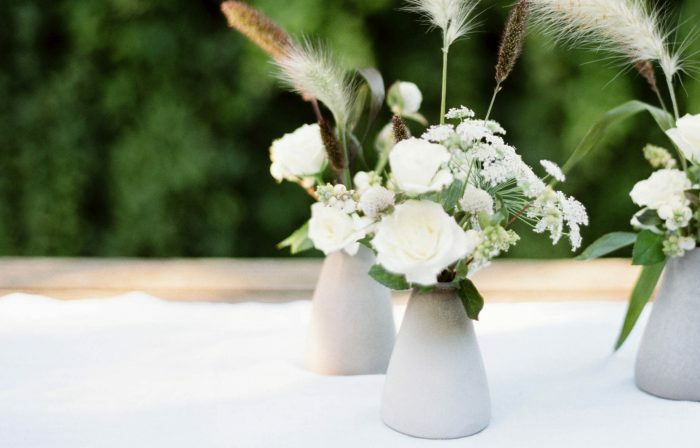 Try doing a mix of bud vases with a few having multiple types of flowers and others with single varieties. 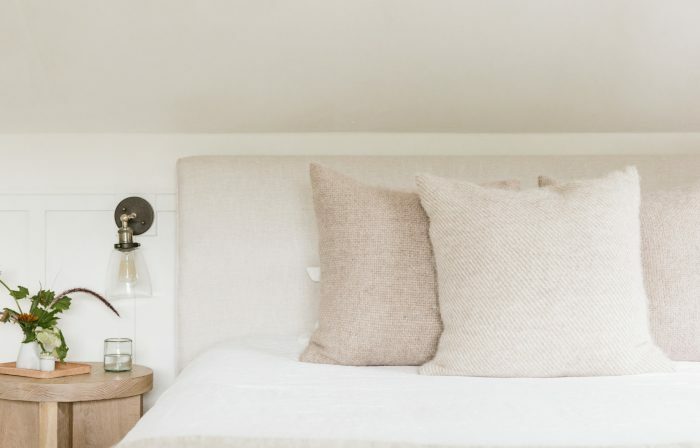 This encourages a laid-back, freewheeling ambiance. 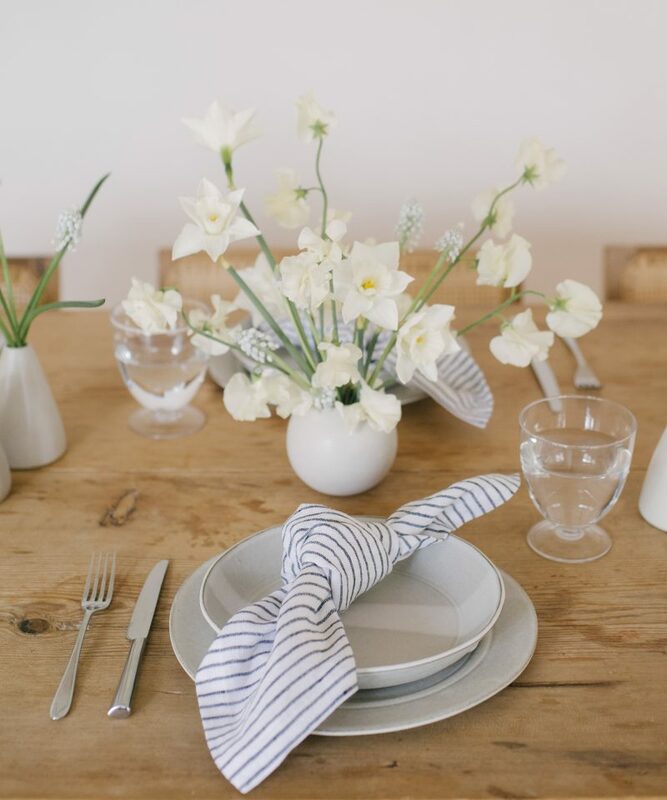 These florals were arranged with daffodil, sweet pea, and muscari blooms.